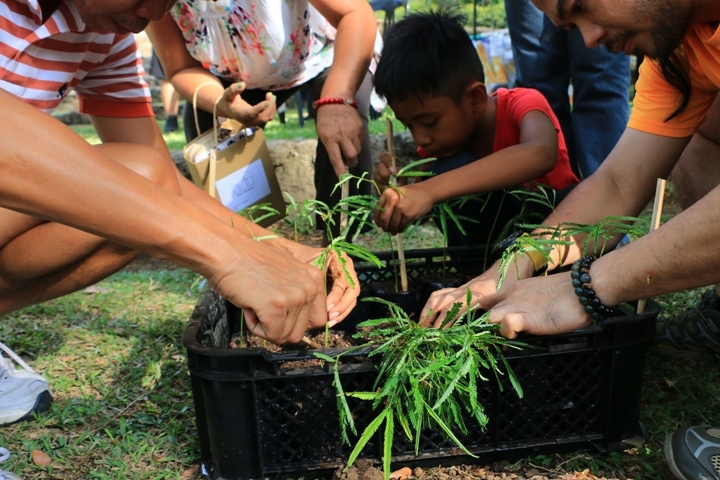 Eduardo M. delos Santos Jr.
On its 20th Anniversary, Bantay Kalikasan recently kicked off its first Eco Festival at the La Mesa Eco Park’s Amphitheater. Earth Warriors united to celebrate the first ever Eco Festival in order to spread environmental advocacy and introduce visitors to organizations and ways they can engage in the advocacy.Approximately 200 participants registered early to partake in different activities such as bird watching, bamboo advocacy, native plants and trees identification, Zumba fitness, basic gardening, nursery and potting activity, and sustainable tourism. Lito De Veterbo,Leave No Trace’sTrainer and Educational Partner shared the seven Leave No Trace Principles that aims to educate the people to leave littleimpact to the environment. “The Leave No Trace Principle is a set of guidelines to minimize our impact to the environment and at the same time enjoying the outdoors responsibly.”The 7 principles are, 1) Plan ahead and prepare, 2) Travel and camp on durable surfaces, 3) Dispose waste properly, 4) Leave what you find 5)Minimize campfire impacts, 6) Respect wildlife, and7) To be considerate to other visitors,” Veterbo explained. Other environmental advocates also took part on the said event. One of them is Fredo Ochavo, a volunteer of IPO Watershed Project, who shared the importance of watersheds,particularly Ipo, which supplies water to the La Mesa Watershed, the source of water to 12 million residents of Metro Manila. Musicians such as Kawayan 7, GuthBen Duo, and JR Estudillo also graced the event. La Mesa Eco Park is a 33-hectare ecological park that provides natural amenities where people can retreat to and enjoy the beauty of nature. It was established to support the Save the La Mesa Watershed Project. To know more about the environment arm of ABS-CBN Lingkod Kapamilya Foundation, Inc., visit www.abs-cbnfoundation.com. For reservations, visit www.facebook.com/lamesaecoparkofficialor call 430-4051 or 430-5207.